Everybody knows a Bungalow Bill, he is usually a Bill or Billy, although not to their face, rather behind their back, and without doubt you employ them at your own risk, for not only will the job be finished of sorts, at least to Bill’s satisfaction, he will demand payment as soon as he can, then from that date be unattainable to make good the job he had done for you. Full of charm with all the gusto of being an expert at this and the other,( But then every one knows what the word expert means…no?…EX something that was, SPURT…a drip under pressure!) But you are still left with a less than job, so you employ another professional to do the same task to reach the former final job to your satisfaction, and expectations! They are a canny breed, always one step in front of the police, if you want something no questions asked, he is the man for you, but you get caught with the item it is you that will get caught, for our Billy is a holder of a black belt in lies, indubitable habits, or his mate can prove that Bill had not done it because of well he was with me, “thats right ain’t it Billy. 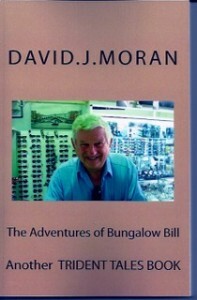 There are all different types of Bungalow Bill’s, so tread carefully my friends as I am sure you will find one as you travel through your life!